There will be Three (3) coupon inserts in this Sunday’s Newspaper, One (1) Smartsource insert & One (1) Redplum insert and One (1) P&G insert. Normally the newspaper with the largest circulation in your state has the best coupons. But don’t rule out your local paper. Before you pay for the newspaper make sure all the coupon inserts are there. 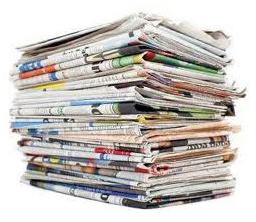 I find that a good rule of thumb is to purchase one newspaper per family member and one extra newspaper for stockpiling. If you’re looking for printable coupons check out the following link. There you will find over $700.00 worth of printable money saving coupons. You should be able to print two of each printable coupon (per computer).